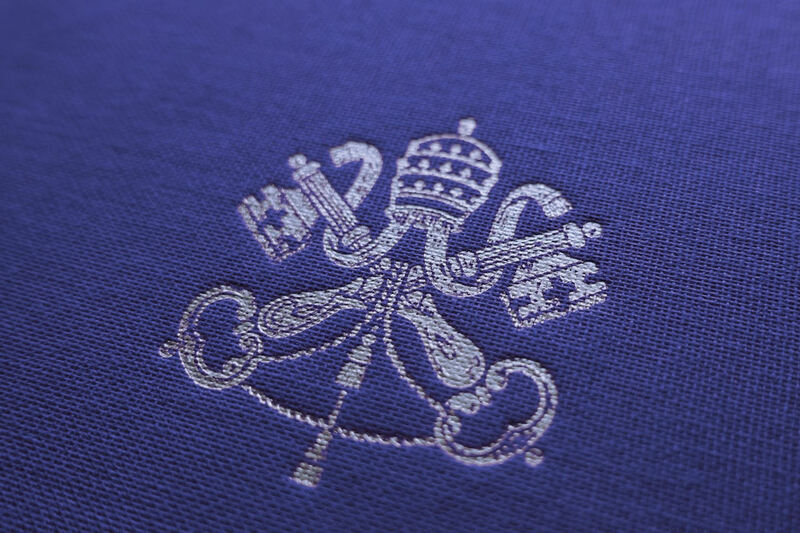 On June 29th 2003, the Holy See gave definitive approval to the Constitutions of the Priestly Fraternity of Saint Peter. Until that date the constitutions had been approved on an experimental basis. They were reviewed in detail by the Holy See in 1999 and by the Fraternity’s General Chapter (the supreme governing body of the institute) in 2000. 2. The Sacrifice of the Mass is at the heart of the spirituality and the apostolate of the Fraternity of Saint Peter. The members of the Fraternity will live with the conviction that the entire effectiveness of their apostolate flows from the Sacrifice of Our Lord, which they daily offer. 3. The Fraternity has a special devotion to Jesus Christ, Sovereign Priest, Whose whole existence was and is priestly, and for Whom the Sacrifice of the Cross was the reason for His Incarnation. 4. The Fraternity is also under the protection of the Blessed Virgin Mary, Mother of the Priest par excellence, and thus of each priest. She molds all priests in the image of her Son. She leads them to discover the profound motives for their celibacy, a condition for the blossoming of their priesthood. 5. The Fraternity of Saint Peter also places itself under the patronage of the Apostle Saint Peter (see Mt 16:19). The priests who are members of the Fraternity will remember that the Divine Redeemer, to perpetuate the work of the salvation of mankind which He consummated on the Cross, has transmitted His powers to the Church which He wanted in this way to participate in His unique and eternal priesthood (see Pius XII, Menti nostræ, 23 Sept. 1950; AAS 42 , p. 659). 6. Founded in the spirit of the apostolic letter Motu proprio Ecclesia Dei Adflicta of Pope John Paul II (2 July 1988), the Priestly Fraternity of Saint Peter professes its fidelity to the Roman Pontiff, who, according to the words of the First Vatican Council (Pastor æternus), is the “successor of Blessed Peter, Prince of the Apostles, Vicar of Christ, head of the whole Church, the Father and Doctor of all Christians” (see Vatican Council II, Lumen Gentium, n. 22). “Each one of its members is held to obey the Supreme Pontiff as his highest superior” (Can. 590, §2). 7. The object of the Fraternity of Saint Peter is the sanctification of priests through the exercise of the priesthood, and in particular, to turn the life of the priest toward that which is essentially his raison d’être, the Holy Sacrifice of the Mass, with all that it signifies, all that flows from it, all that goes with it. 8. 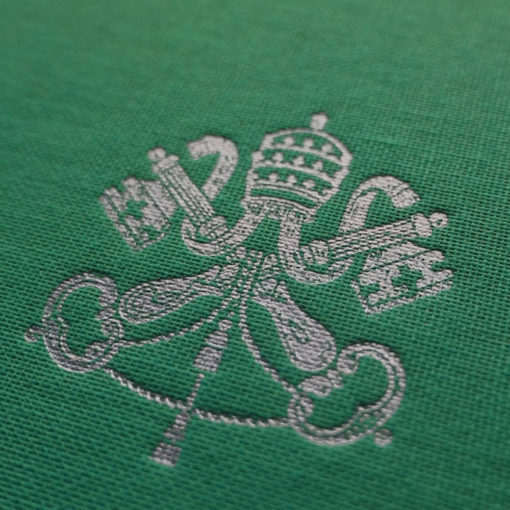 The particular aim of the Fraternity of Saint Peter is to achieve this objective through the faithful observance of the “liturgical and disciplinary traditions” according to the dispositions of the Motu proprio Ecclesia Dei of July 2, 1988, which is at the origin of its foundation. 9. The members of the Fraternity will in this way take it to heart to do everything to prepare, spiritually and materially, the Sacrifice of the Mass, “this great gift of the Divine Redeemer” (Pius XII, Menti nostræ, cit., p. 659), Jesus Christ, “eternal and permanent source of our priesthood in the Church” (John Paul II, Letter to Priests, 29 Febrary 1980). The members who are not priests will take it to heart to contribute to this aim by achieving their proper vocation, in the service of the priesthood. 10. The Fraternity devotes itself to all the works of priestly formation, and all that relates to it, first for the members of the Fraternity, but also for other candidates for the priesthood, with the agreement of their bishops. It will watch the formation to the priesthood reaches its principal object, the sanctity of the priest, which is prepared by a healthy spiritual and intellectual formation. It will be obtained above all else by sacramental grace which sanctifies the priest continually, if he cooperates with it using the means the Church offers by the Conciliar Decree Presbyterorum ordinis, n. 18. The philosophical and theological studies in the seminary will be founded on the principles and the method of Saint Thomas Aquinas, and will thus be conformed to the desires and prescriptions so often renewed by popes, councils, and the Code of Canon Law. Thus the seminarians will carefully avoid modern errors as much in philosophy as in theology. (See Pius X, Pascendi, AAS 40 (1907), 596 ff. ; Pius XII, Humani generis, AAS 42 (1950), 561 ff; Paul VI, Mysterium fidei, AAS 57 (1965), 753 ff.). 11. In the Fraternity, the formation of priests will be conformed to the dispositions of the ratio studiorum promulgated by the Holy See. A directory specifies the curriculum at the seminary, in conformity with the law. 12. To aid the sanctification of the clergy, the Fraternity of Saint Peter will offer priests the possibility of retreats and days of recollections. The houses of the Fraternity may host priestly societies, and periodicals to be published for the sanctification of priests. The Fraternity will be pleased to come to the aid of aged or sick priests, or those with special needs. 13. The parochial ministry is a work to which the Fraternity devotes itself if a bishop requests of it such services. This ministry will be the object of agreements with the diocesan bishops in order to permit the Fraternity to exercise its apostolate according to its proper charisma. The Fraternity will not refuse other forms of apostolate which would present themselves if they are conformed to its proper charisma. 14. The members of the Fraternity, will encourage and eventually found schools, free, as far as possible, of all secular interference, in accordance with the law of the Church (see Can. 796 ff.). From these schools will come vocations and Christian families. 15. The Fraternity of Saint Peter will seek to encourage vocations of auxiliaries for service to the Altar and all that is related to it: participation in the liturgy, in the Sacraments, in catechetical instruction and generally in all that is necessary to assist the priests in their ministry, in conformity with Can. 738 § 2.